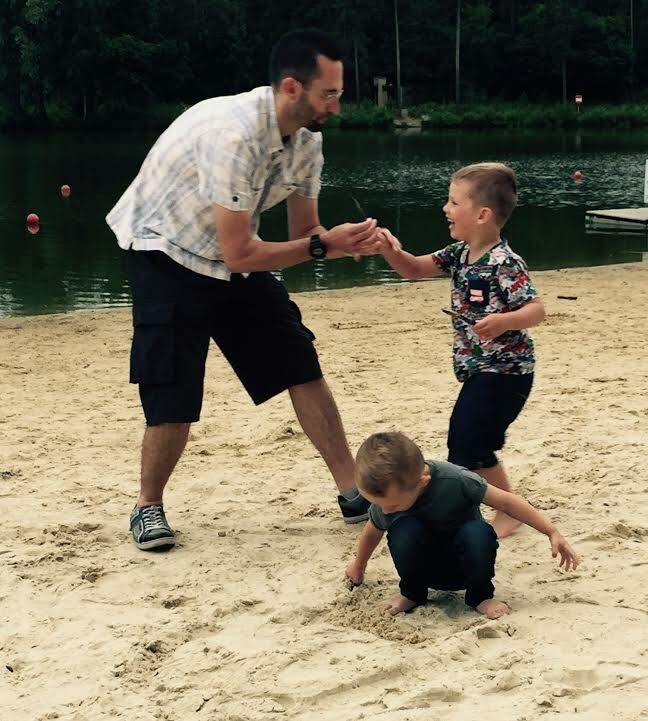 Center Parcs – What’s All The Fuss About? I’ve been curious about Center Parcs since childhood. We had fabulous times at other UK holiday parks but Center Parcs had never been on the menu, presumably due to cost and the fact that we’re not a particularly sporty/outdoorsy family. Or at least, I’m not. Once I grew up and grappled with that most heartbreaking of lessons – the value of the pound – I soon realised the considerable price difference between Center Parcs and other UK destinations and I confess to feeling a little resentful about it. What can they possibly have that warrants that much more money? And how can they charge so much for individual activities once you’re there? The working class part of me was a little outraged while the middle class part was secretly desperate to go. So when my brother-in-law found a cheaper, term time deal and suggested both our families go together it didn’t take much to convince me. I decided to put my reservations aside and give Center Parcs a try. And I’m beyond glad. For starters, everyone I spoke to in the run-up to our trip had only amazing things to say about Center Parcs. And I mean every single person. This sounds ridiculous but I swear there is a little light that ignites in a person’s face when they tell you about how lovely it is and what a great time you’ll have. My sister-in-law and I feared that such enthusiasm from others would only set us up for disappointment but we were happily proved wrong. I suspect that very same light now flickers in my eyes as I write this post. Our party of four adults and three kids stayed in a four-bedroom Woodland lodge in the Pine section of the Elveden resort – which is about a 10-15 min walk from the main village and 20 mins from the carpark. Our cabin itself was of a beautiful standard. Extremely clean and well-kept, plenty of space for the seven of us – including a family bathroom with WC, separate WC and separate shower room. The kitchen was spotless and even included a dishwasher which was a pleasant surprise (such a surprise in fact that we forgot to use it!). The outside space was brilliant too. The kids loved exploring the nearby woods, which included a rope swing and den conveniently left by prior occupants. The forest is so beautiful and one of the many things that sets Center Parcs apart from other destinations. Everything is so tidy whilst still being completely authentic and natural. The tree surgeons must work incredibly hard is all I can say! Just walking around the resort is a great experience for the senses. The lake and beach is lovely too although, sadly, the poor weather meant we couldn’t spend as much time there as we otherwise would have. Generally considered the jewel in Center Parcs’ crown the Subtropical Swimming Paradise really lived up to the hype. The pirate-themed children’s area is brilliant; we loved the layout which made it easy to keep an eye on the kids at all times without necessarily following them around (in addition to my four-year-old we also had my five-year-old niece and three-year-old nephew in our group). I think it’s great that even the children’s section has real little flumes – this kept my daredevil Caterpillar occupied for a long time. Outside of the section for toddlers, the rest of the pool has something for everyone. With a huge wave pool, lazy river, saltwater lagoon, outdoor rapids, hot whirlpools, plus slides and flumes for all abilities and courage levels we were able to spend hours there each day. Four hours at a time in fact. 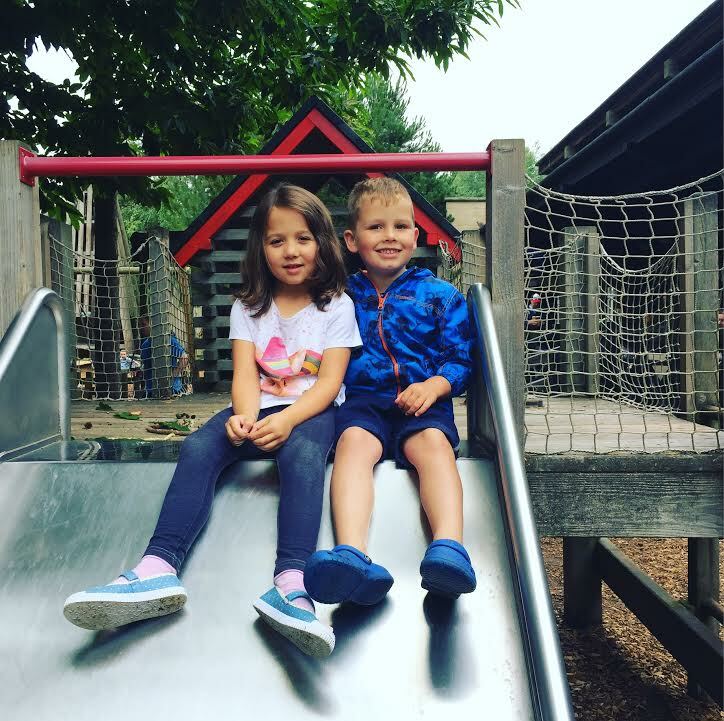 To keep children of such a young age occupied for such a long period is no mean feat so thank you, Elveden Forest! This is where the controversy lies. Unlike some of Center Parcs UK competitors (see my previous review – Just For Tots At Butlins), everything outside of swimming requires an additional fee – and lots of planning and early booking. This is the main thing I was uncertain about before we came. We conservatively booked our little ones onto only two activities in advance – Crazy Science and cupcake making. In truth, both were completely worth it. The kids had a fabulous time; the activities were really well-organised and the staff were helpful and engaged. There is simply an enormous choice or indoor and outdoor activities at Center Parcs, spanning all levels, ages and abilities. After seeing what others were enjoying we may well be a little more adventurous next time. I definitely recommend booking in advance of your trip though – especially bike hire. By the time we considered booking some more activities on our first evening almost everything was already full. The price of activities varies hugely from the extortionate, such as pony trekking, to the reasonable, such as bowling (we enjoyed a great game for all seven of us for £21 per lane per hour). I can safely say the quality of the activties we tried was fabulous though. Aqua Sana spa is such a beautiful experience. 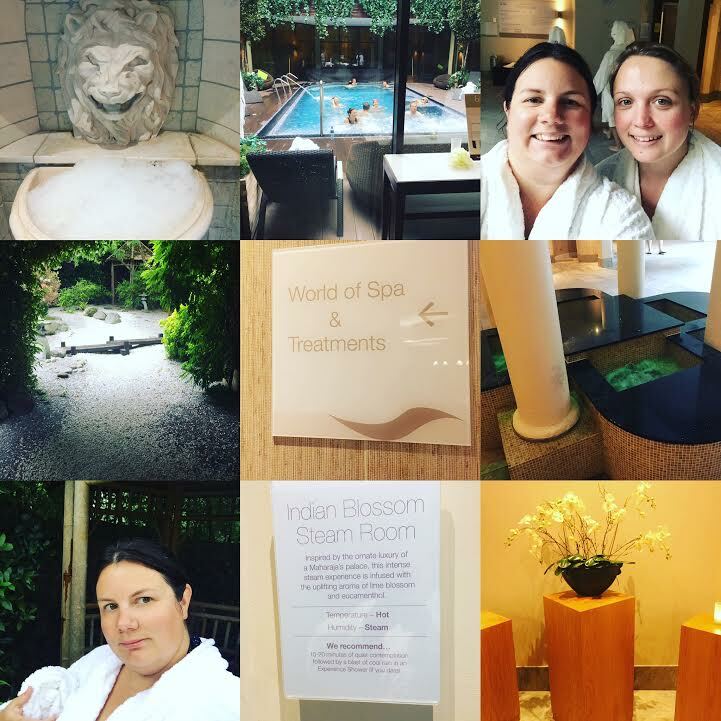 My sister-in-law and I went for the three hour World of Spa package for £39 each and each had a 20 minute additional treatment for £45 each. With a dozen different steam rooms and sauna experiences, luscious spa pool and lovely, relaxing surroundings I could have stayed there for the whole trip. I may well review this separately in a future post because there is so much to talk about. We had planned to almost entirely self-cater as we’d heard that eating on site can be so expensive but actually if you choose wisely this isn’t necessarily the case. We had a delicious lunch at The Pancake House (who knew savory pancakes were so awesome!) and another at Bella Italia (although we were disappointed to discover you aren’t able to use Bella Italia discount vouchers, despite no mention of this in the small print). Both meals were enjoyed by all, including the kids. The app – This seems such a small thing but being able to book activities and look at your schedule once you’re there using the Center Parcs Elvedon app is really helpful. The pool – I’m sorry but I just need to give it another mention as the pool really was the best part of the trip. The outdoor rapids and The Tropical Cyclone were particular highlights. Wi Fi – Again, a very small thing but having free & consistent Wi Fi access is a bonus for all modern breaks. 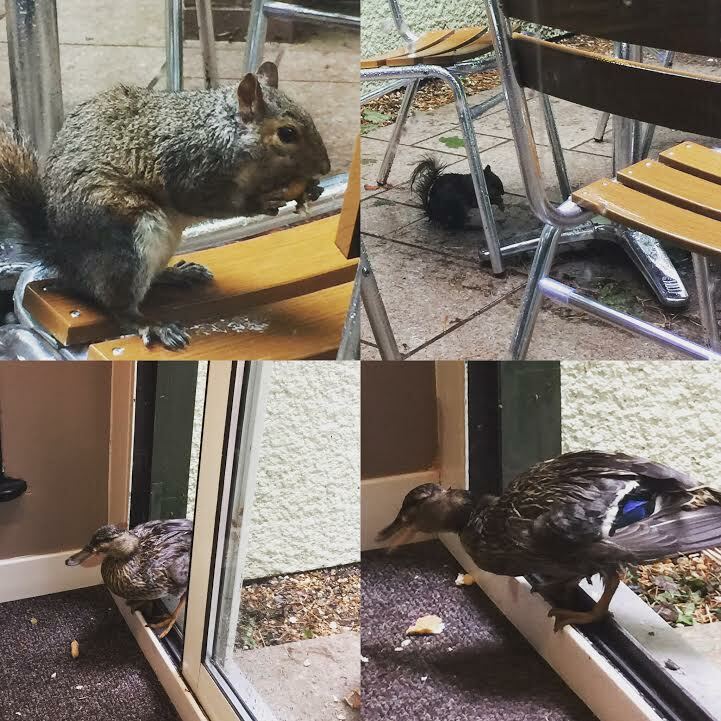 Wildlife – With very little encouragement, we enjoyed visits from ducks, rabbits, squirrels and deer right outside our cabin (and inside in the case of the ducks!) which enthralled the kids. Efficiency – Everything about the Center Parcs experience is so incredibly easy and slick (for example being able to use your room key wristbands for pool lockers), making for such a stress-free, relaxing experience. 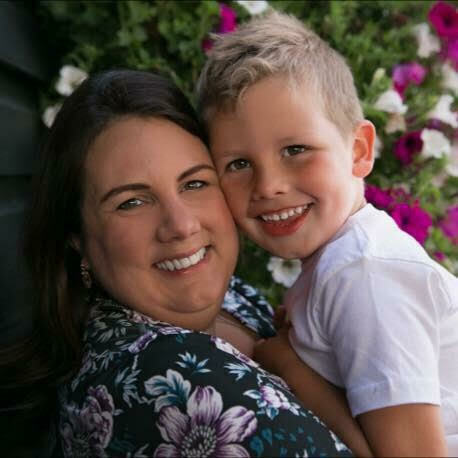 Calmness – The peaceful surroundings elicit feelings of relaxation and calmness in everyone, including the kids, which is worlds away from the mayhem holidaying with children can often become. We all agreed that this was easily the most relaxing holiday we’ve had since becoming parents. Space – Because everything is so widely spread we really felt like we had a sense of space apart from other holiday-goers. This, again, adds up to a lovely experience. Our kids happily played in the woods next to our cabin for hours at a time, almost unheard of back home. Despite my reservations at booking and perhaps predetermined and prejudiced ideas about Center Parcs there were actually very few things we didn’t like. The service in The Pancake House was a little slow the day we visited, causing one of the few stressful times we had with the kids, although the food was good when it arrived. As expected, the on-site supermarket was very expensive (although we did get a good deal on two disposible BBQs). The walking distance between the cabin, the village centre, the carpark and the spa was a little frustrating at first but the kids soon got used to walking around and the surroundings are so pretty that it’s not really a hardship. Plus, it’s a price I’m willing to pay for the spacious atmosphere. Some activities are overpriced in my opinion but if you choose carefully you can get better value for money. The most shocking thing regarding pricing is the cost of a break during peak times. We took a midweek break which was quite affordable but as soon as you want to expand this to a full seven nights or, worse, a trip during school holidays the price goes up by three or fours times! This seems pretty extortionate and unfair to me, although perhaps in keeping with the rest of the holiday industry? I don’t know. Does Center Parcs live up to the hype? So how do I feel after our trip? Am I a Center Parcs convert or do I still think it’s a middle-class swiz for those who consider themselves too good for cheaper UK alternatives? Essentially, both. Yes, it’s expensive – you can’t really get away from that fact – but is it as expensive as I’d feared? Definitely not. Is it possible to get a good deal? Yes. Does the increase in quality of holiday experience justify the increased cost? Quite possibly. We had a truly amazing time. One of the best holidays I’ve ever had in the UK. And this was largely down to the good quality accommodation and surroundings, helpful staff, slick service and great quality activities. And, truth be told, those things simply cost a little more. The very best accolade you can give any destination is a repeat trip and we’ve booked another trip to Center Parcs Elveden within a week of returning home…so what does that tell you? I suppose it’s a shame none of the onsite eateries offer a slice of humble pie, as I’d be forced to eat it. 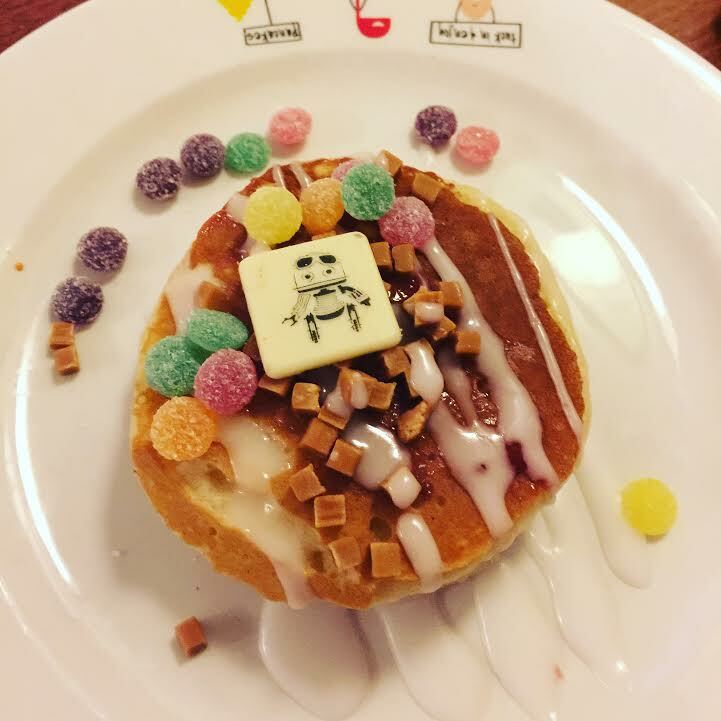 It’/s been a while since we visited Centre Parcs, the kids loved it and yes the surroundings are more relaxed and I prefer it more to the other alternative. But I agree that it can get expensive, especially the activities, and it all adds up if you have a few kids! I’ve always been intrigued by Centre Parcs too. This year some of my mummy friends have taken their littles ones and it’s made me really want to go hearing about it. I think it’s great when you have people to go with to lower the cost. I’d have to treat myself to the spa too! 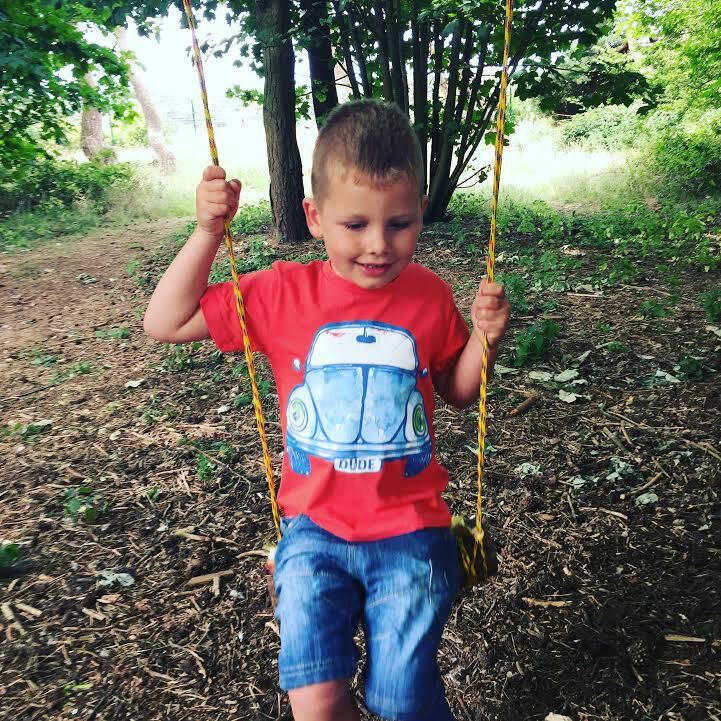 We have always wanted to go to Center Parcs but honestly have been put off by the cost so was interesting to read your thoughts. Thanks for being so honest. We always go for self catering holidays due to allergies but we have considered somewhere like this. I am so glad that you had such a good time. I went when I was younger and the pools were so fun you are right! I’ve never been, but it’s something I’ve been considering. Glad to hear it is as great as I read! I have never been to Centre Parcs but they always look like such a fun outdoors, family holiday.